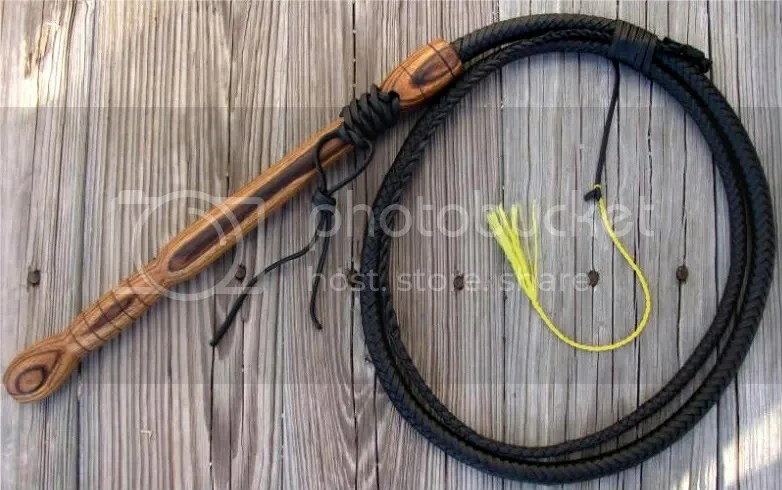 I now have a 6ft black cow whip available for immediate purchase! This whip has been sold. Thanks for stopping by! This whip features a 14.5″ exotic handle turned from African Zebrawood. This wood is attractive and also more lightweight than some of the African exotics I have used in the past. The price for the whip is $110.00 + shipping. Payment accepted via Paypal only! If you are interested in purchasing this whip, please email me at Rhettswhips@yahoo.com. This entry was posted on Tuesday, February 16th, 2010 at 5:49 pm	and posted in Cow Whips, exotic wood, for sale. You can follow any responses to this entry through the RSS 2.0 feed.